This is a picture showing how a cochlear implant is placed inside a persons ear to helping them hear. Patients who are deaf do to the damage of their sensory hair cells benefit from this implant. 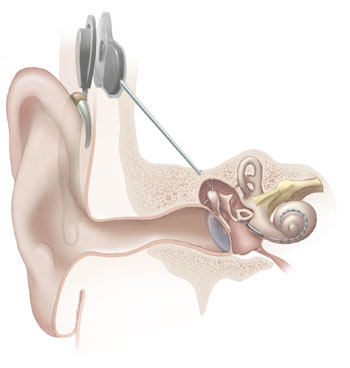 current 15:06, 11 April 2015 350 × 368 (31 KB) Mikayla.c This is a picture showing how a cochlear implant is placed inside a persons ear to help aid them in hearing.